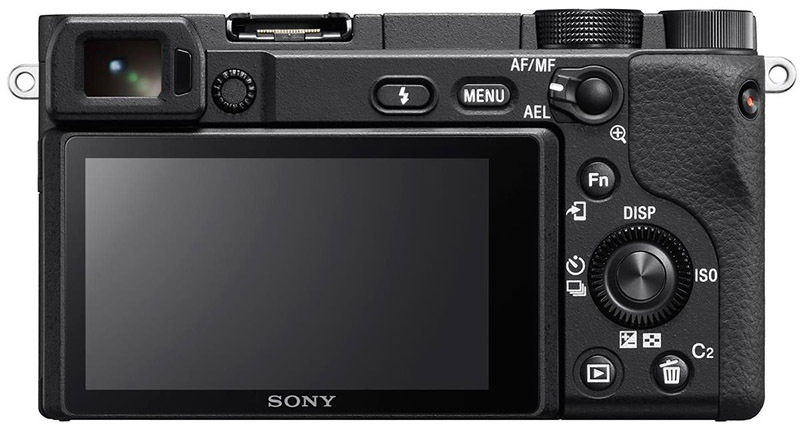 Welcome to my Sony a6400 (ILCE-6400) resource page. Here you can find links to tutorials, accessories, lenses, the latest firmware updates, manuals, FAQs, specs and features of this great little APS-C mirrorless E-mount camera. The Sony a6400 is packed full of features to help make capturing those special moments as easy as possible, let’s take a closer look at the main features. Fast and accurate autofocus helps you to capture all of the action. Both the a6500 and a6300 take 0.05s to acquire autofocus, the a6400 requires just 0.02 seconds. 425 phase-detection AF points and 425 contrast-detection AF points that cover 84% of the image area will help you to capture subjects more accurately no matter where they are positioned in the frame. Simply touch the monitor to enable Real-time Tracking for either stills or movies. The camera will instantly lock onto the target subject and keep it in constant focus. This is possible due to a newly developed subject recognition algorithm that processes spatial information based on color, subject distance (depth), pattern (brightness), and face and eye information at high speed in real time. Real-time Eye AF makes nailing the focus on your subjects eyes easier than ever before. You can specify 3 different options: left eye tracking, right eye tracking, or auto. It also works automatically when you half-press the shutter button or AF-On button. 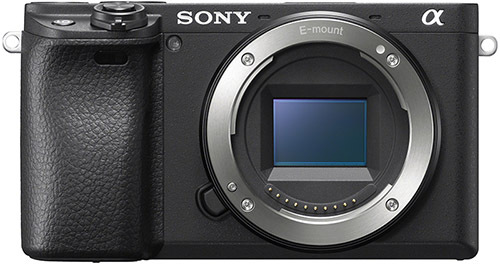 The a6400 will receive an update during summer 2019 that will enable Eye AF for animals, making this a dream camera for wildlife photographers. The mechanical shutter offers the fastest continuous shooting with up to a maximum of 11fps (Hi+), but at this setting you lose live-view (you see the last picture taken instead of a live view of your scene) and will notice more blackouts on the EVF or LCD screen. When you select 8fps (Hi) then you get live-view and very short blackouts making it far easier to track subjects such as birds in flight. With the electronic (silent) shutter you can shoot up to a maximum of 8fps. Focus peaking has now been improved by adding a blue to the existing red, yellow and white colors, helping to make manual focusing for macro or portrait shots easier than ever. 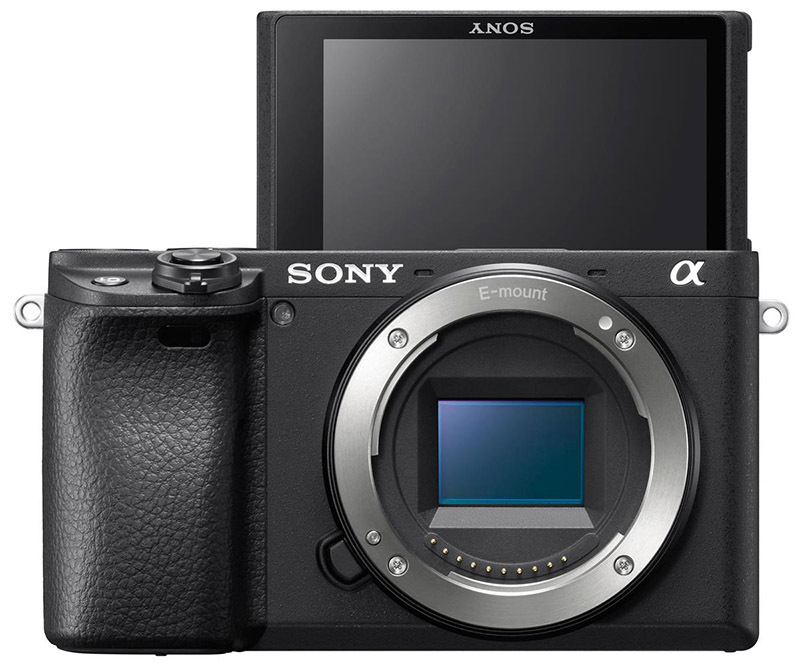 The a6400 has an APS-C 24.2-megapixel ExmorTM CMOS sensor and a new-generation BIONZ XTMimage processing engine. The maximum standard ISO sensitivity has been increased to ISO 32000 with an expanded ISO of 102400 for stills. A new 1:1 aspect ratio has been added to the existing 3:2 and 16:9 aspect ratios, meaning you no longer need to crop your shots if you want 1:1. When you’re shooting in RAW format, the 14-bit digital signals that are converted from analog in the image sensor are passed to the front-end LSI and BIONZ X, where they undergo 16-bit processing before converting back to 14-bit RAW image output. This leads to smoother, more natural tonal gradation in these images. 4K video recording at 30fps / 100mbps with full pixel readout and no pixel binning is available, as well as Full HD at 120fps / 100mbps. On top of this is also HLG support for the first time in the a6xxx series that results in better-looking movies. Fast Hybrid helps meet the stringent autofocus demands of 4K movies. S-Log 2 and 3 lets feature a wide dynamic range and allow you to perform color grading in post-production. The a6400 also features clean HDMI output, time code / user bits (TC/UB), rec. control, marker display/setting, zebra function, Slow & Quick Motion, simultaneous proxy movie recording, extraction and separate storage of a still from a movie, Gamma Display Assist function, and in-monitor display of current ISO value when shooting with ISO Auto, among others. The a6400 gives you time-lapse built-in by default which allows you to set an interval of 1-60 seconds between shots. You also get the option of creating a time-lapse movie with the Imaging Edge desktop suite when it’s updated to v1.4 towards the end of January 2019. The high-resolution 921k-dot LCD has a 3.0-type screen and tilts up a full 180°. Touch operations include Touch Pad (to move the focus point), Touch Focus (to set the focus point), Touch Shutter (triger the shutter), and Touch Tracking (activate Real-Time AF). There is no screen dimming when shooting 4k movies making it much easier to carry on shooting in bright sunlight. The high-contrast, high-resolution XGA OLED EVF has a resolution of 2.4 million dots has a user selectable frame-rate of either 60fps or 120fps. The a6400 features eight buttons and controls which can all be custom-assigned to any of the 89 shooting and replay functions, and frequently used functions can also be assigned to the control dial and control wheel with My Dial. My Menu allows flexible assignment of 30 menu items, and the custom settings screen helps keep track of everything. The menu system has been improved by adding My Menu and My Dial features. My Dial lets you assign frequently used functions to the control dial and control wheel for faster access when you’re shooting. Whilst My Menu allows registration of up to 30 different menu items for quick access to menu items you use often. If set in advance, auto white balance can now be locked or unlocked at any time, for more consistent color tones when there are multiple light sources. When shooting with compatible wireless flash units, rear-curtain sync and slow sync can now be selected, increasing your options for lighting. Still images can be rated or protected from accidental deletion. Turn your mobile device into a viewfinder and remote control with Sony’s new Imaging Edge Mobile App. Major buttons and dials are sealed, and casing components have an interlocked double-layer structure to help resist dust and moisture.